Another day, another top tier headphone update. When I carried out my exhaustive headphone group test, Allen & Heath’s Xone XD-53 faired really well against some serious and considerably more expensive competition. The one reason that they didn’t come in the top 3 was the fixed headphone cable – for me an absolute no-no for DJ headphones. Now along comes an update – the XD2-53, that gets a slightly different gun metal paint job, but importantly gets… can you guess? Yes – the upgraded cans get a much needed removable cable. Allen & Heath has launched an updated version of its flagship Xone professional monitoring headphones, the XD-53s. The new XD2-53s have several new features, including a detachable coiled cable with 3.5mm connector and ¼” jack adaptor, and also sport a stylish gunmetal finish. Designed to complement Allen & Heath’s leading brand of Xone DJ mixers, the XD2-53s retain a circumaural design providing high level isolation from ambient noise, making them the ideal product for DJs working in loud environments. Existing users include leading DJ, Pete Tong. Containing 53mm diameter drivers with high power neodymium magnet design, 3500mW of power handling, and high SPL capacity, the XD2-53 headphones deliver excellent sound reproduction. 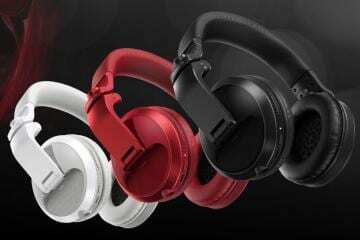 They also have rotating earpieces for easy one-ear monitoring, an adjustable metal reinforced headband, and folding design for compact portability. The XD2-53 headphones will be available immediately, SRP £148 (ex VAT). 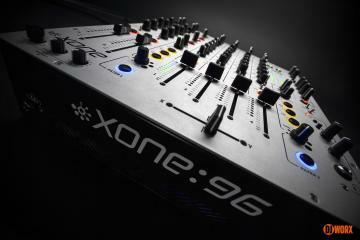 This would probably see me move them into the top 3 in preference to the Ultrasone DJ1 Pros. But since that time, we’ve seen the VMODA Crossfades, Beyer HT1350s, and the all new Sennheiser Amperiors come out – 3 very good pairs of headphones. I think it’s time to revisit the group test.